The X454 basketball hoop is a mid-sized system that’s big in play, The X454 features a 54″ x 36″ backboard attached to our 4″ straight pole is engineered to provide years of challenging play. With everything that makes it a Goalsetter — like the exclusive hinged ground-anchor system and superior corrosion resistance — the X454 provides plenty of value in a mid-size package. It turns your driveway into the kids’ favorite neighborhood basketball court. 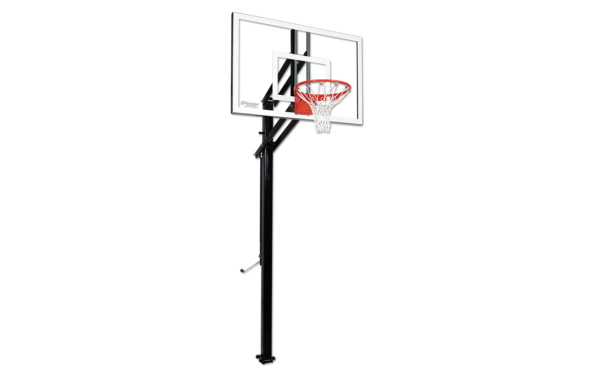 The X454 goal is designed to accommodate players of all heights and ages with easy height adjustment from 6′ 8″ to 10′. 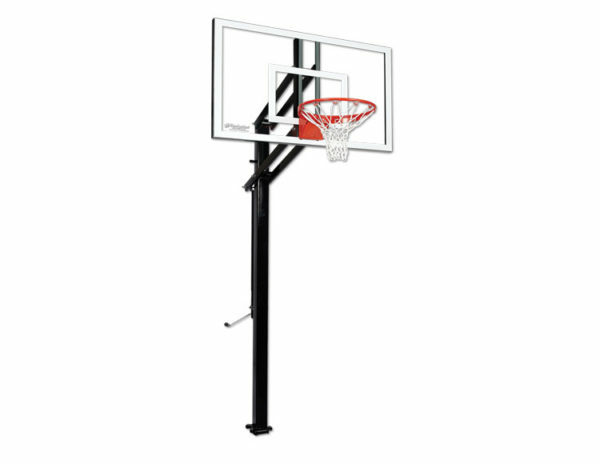 Your family will never outgrow this basketball hoop. Steel extension arms. 90-degree adjustment handle. 2.5-foot play area. 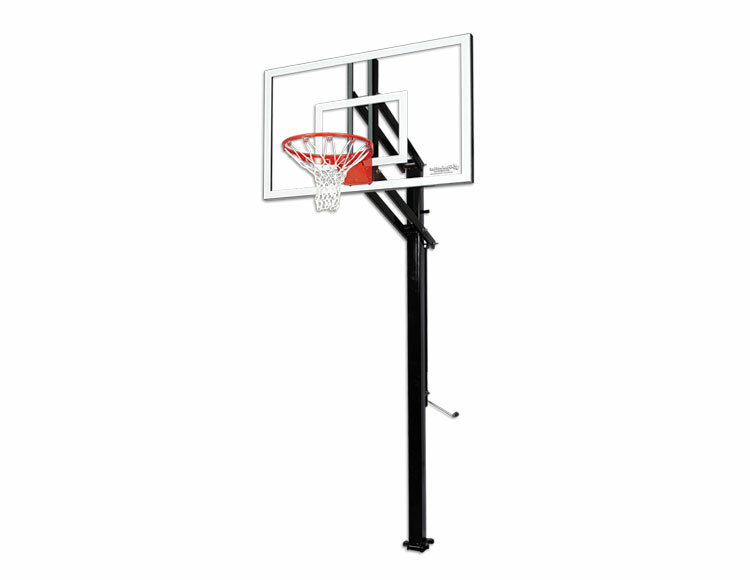 The Goalsetter X454 turns your driveway into the neighborhood court. Striking a balance between performance and stability, this system is designed to accommodate players of all heights and ages, so it’ll grow up with your family and friends. You won’t find a better in-ground system for your money. Complete with a competition tempered glass backboard.